Another week, another nostalgic retro 90s hoops selection makes its way into the news, set to touch down for a new generation of hoopers. 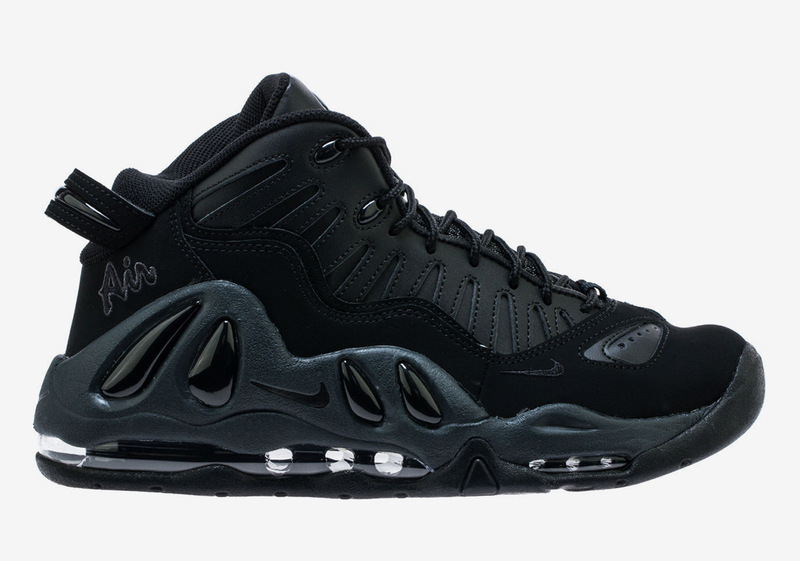 This week, Scottie Pippen’s Air More Uptempo finale – the Air Max Uptempo 97 – is making a comeback in a decidedly dark color scheme, ushering in black and navy. Much like the other Uptempo varieties, it’s upper grabs most of the attention, utilizing a boisterous and eye-catching construction as it’s focal point. Air branding takes shape on its lateral midfoot, sporting a quick touch of white on its embroidery to break up its dark aesthetic. Much of these year’s Nike basketball releases have featured the returns of sneakers worn by players during the statement-making 90s era. Grab an official look at this new Air Max Uptempo 97 below and look forward to it’s September 22nd release.